This was the first rubber to feature Butterfly's new "Spring Sponge". Spring Sponge feels hard yet its new technology allows you to hold the ball on the racket longer. Tenergy 05 combines this new explosive sponge with a new tensioned topsheet with maximum surface grip. The result is a rubber that produces massive amounts of spin on serves and topspin drives. Showing 2 of our total 5 reviews, with an average rating of 5 stars. 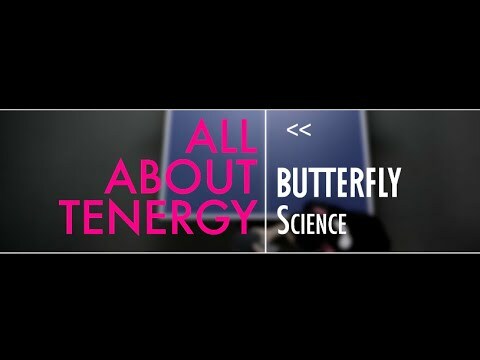 Read all 5 reviews for Butterfly Tenergy 05 Table Tennis Rubber. The best in its class. Superb pace and spin. High throw angle takes some getting used to. Doesn't quite replace the glue effect but it's the best you're going to find in the market at the moment. 2017 National Junior Champion Tom Jarvis. Congratulations from Butterfly & Tees Sport. Tom uses the Innerforce AL, Tenergy 05 & 64. Paralympic table tennis gold medallists Will Bayley and Rob Davies have received MBEs in the Queen’s New Year Honours List. Kent athlete Bayley won the Class 7 Singles title in Rio, while Welshman Davies was on the top step of the podium in Class 1. Both are made Members of the Order of the British Empire (MBE) for services to table tennis. They join a host of Rio heroes on the annual list, headed by athlete Mo Farah, tennis star Andy Murray and Paralympic dressage rider Lee Pearson, who are knighted. Heptathlete Jessica Ennis-Hill and rowing great Katherine Grainger receive damehoods. Butterfly Players, Kelly Sibley and Liam Pitchford are English Senior National Champions.